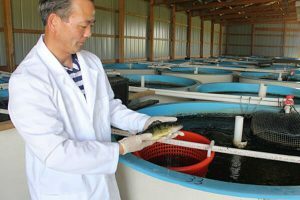 Yellow Perch Aquaponics: Ideal fish? 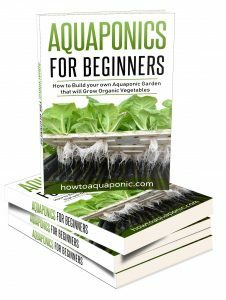 If you’re ready to start growing your own plants with aquaponics then you need to consider the merits of yellow perch aquaponics. Although tilapia is the most common choice of fish for beginners, there are several benefits to choosing yellow perch; your choice will depend on what results you hope to achieve. 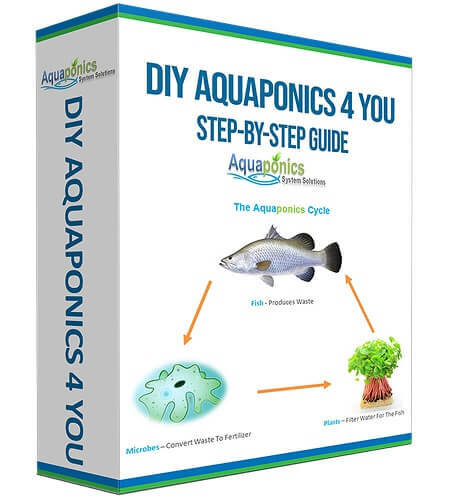 If you’re operating an aquaponics system then you’re likely to be using one of the following; tilapia, yellow perch, rainbow trout, koi, (or goldfish), catfish, and sunfish. The right fish for your system will depend on what temperature and pH are required for the plants you wish to grow. Yellow perch like temperatures between 68°F and 78°F, which makes them suitable for supporting most warm weather plants and approximately half of the cool weather plants. 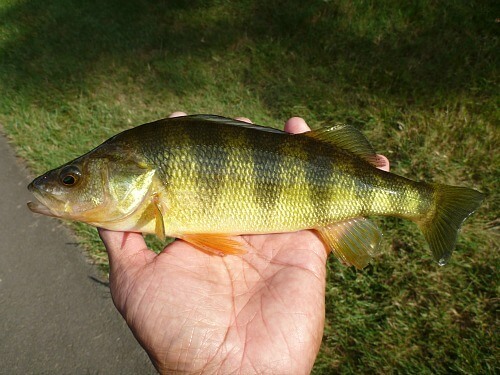 The yellow perch is often referred to as just perch. It is a freshwater fish, native to North America, and has a very distinctive set of 9 olive-green vertical bars on each side. 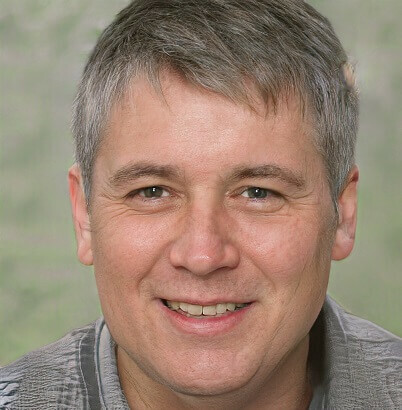 You’ll also notice an orange hue on the margins and just one spline on its posterior. It is important to be aware that yellow perch will breed just once a year. If this is something you want to do when raising yellow perch then you need to be aware that to get them to spawn you’ll need to lower the temperature in your tank to approximately 45°F for at least a month. You can then elevate the temperature, at the same time as you extend the light exposure for your fish. In essence, this is the same as winter coming into spring. The eggs they lay will take up to 27 days to hatch, the emerging fry will survive on the egg sac before eating anything smaller than them. Yellow perch is one of the slower growing options; it will take approximately 12-18 months for the perch to reach harvest size. At this stage, the fish will be approximately ½ pound and 4-6 inches long. The yellow perch can continue to grow; by the time they reach 10 years old they can be as big as 3 pounds and 10-12 inches long. The best temperature for keeping yellow perch happy in your aquaponics system is between 65°F and 80°F. The optimal range is between 68° and 78°, although you’ll need to keep the temperature closer to 70°F if you’re hoping to breed as well as growing plants. Yellow perch are able to flourish in a wide range of temperatures and pH levels. This allows you to use yellow perch to support a wide range of plants. You may be surprised at how easy it is to pellet train yellow perch, they will take to it virtually instantly. In the wild yellow perch prefer shallow water, although there are a few cases when they appear to prefer a depth of 50ft. In terms of your tank, this means you’ll be better with a bigger surface area but minimal depth; which will make it easier to keep an eye on your fish. It’s worth noting that yellow perch will eat each other. However, they’ll only eat smaller versions of themselves, as the fish tend to grow at the same rate this shouldn’t be an issue if you’ve bought fish of the same age/size. A male yellow perch is sexually mature in approximately 2 years, the female won’t reach sexual readiness until they are 3 or even 4 years old. As already mentioned, the perch need an extended period of cold water, (between 35°F and 65°F), to stimulate winter moving into spring. If you’re considering breeding you’ll need to think of the effect of lowering water temperature on your plants. 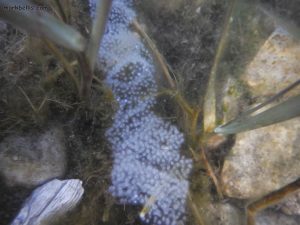 The strands of eggs are laid in weeds or other submerged objects and left to hatch. What does yellow perch eat? Yellow perch are not fuzzy eaters. When small, they are likely to eat fish eggs and invertebrates. As they grow they’ll eat other fish, including gobies and alewife. This is good news for your yellow perch aquaponics system! Because they will quickly adapt to the food source that is available, you’ll find that they are happy to eat pellet food; making it very easy for you to look after these fish and nurture your plants. How big does yellow perch get? A full-grown yellow perch will be between 6 and 12 inches long, with a weight of approximately ¾ pound; the biggest recorded yellow perch weighed an impressive 2.4 pounds. At normal size, this fish can be comfortably kept in 5-10 gallons of water. How does yellow perch taste? Yellow perch have a mild flavor but a distinctive one. Some people compare it to firm crappie. If cooked properly there will not be a fishy odor and the flesh is firm but flaky. In fact, yellow perch are generally slightly sweet when eaten. It also contains omega-3 and a surprising amount of protein for a relatively small fish. You can pan-fry, deep-fry, bake, grill or even poach. Can yellow perch be kept with other fish? Surprisingly yes. Yellow perch will eat smaller fish but they are content to live with walleye and bass. Of course, you’ll need to ensure all the fish are of a similar size to avoid the temptation to eat them. How long does yellow perch live? On average these fish will live until 10 or 11 years old. At this point they can be fairly large, weighing 2 or even 3 times as much as your plate ready fish. Where can you buy yellow perch? As usual, it is best to stock a yellow perch aquaponics system with fish from a specialist aquaponics supplier. You may have a store close to you, but if not, there are several reputable suppliers on the internet who can ship the fingerlings to you in a day or two.